In this charcoal drawing demonstration Steve’s goal is to find beauty, character, and attitude in the model. The basic concepts of portraiture are investigated and discussed: scale, facial features, facial planes, hair, effects of shadow and light on form, line and value. 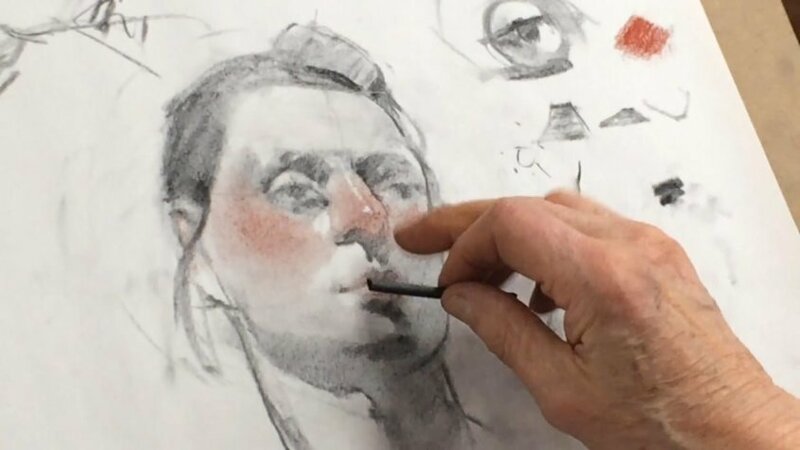 The added dimension of color with conte crayon is explored in this charcoal video lesson.